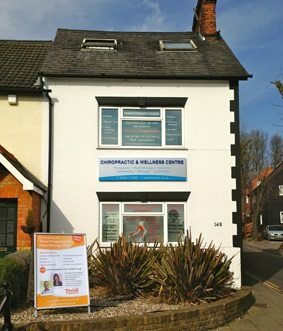 Effective Bulimia treatment in Rickmansworth - Cara Ostryn BSc. Bulimia Nervosa is an eating disorder characterized by recurrent binge eating, followed by compensatory behaviors such as self-induced vomiting or using laxatives (purging), fasting, enemas, diuretics or over-exercising. This is usually done in secret. People with bulimia purge themselves because they feel guilty about binge eating, but the bingeing is a compulsive act that they feel they cannot control. Bulimia comes from a Greek word meaning ‘ravenous hunger’ and is commonly mis-spelt ‘bullimia’ or ‘bulemia’ or ‘bullemia’. Constant monitoring of food and weight can become an obsession. A person with bulimia may binge in secret and hide evidence of food and laxatives. Having to keep secrets contributes to the cycle of stress and anxiety. I feel in control of my everyday feelings and those negative feeling which always came to destroy me or my diet. I don’t put myself down anymore and if I feel any negative thoughts I can soon get rid of them and take control.It’s a funny feeling, light, happy, airy, clear and it feels wonderful. I never want to go back to that dark place again. For many of my clients, their self esteem hinges on how attractive they look and how slim they feel. They feel that by being in control of their weight they are more in control of how others perceive them, value them and like/love them. However, very often, feelings of low self worth, feeling ugly, feeling ‘not good enough’ come from within; these feelings come from an inner unhappiness and dissatisfaction, but are being projected onto how they they look. Bulimics often attribute how bad they feel on their weight, when really, the negative feelings are the result of low self esteem generally and lots of negative self talk. Of course, that is all exacerbated by binge eating. Although the symptoms of Bullimia and bingeing are about the control of food intake, the disorder is maintained by negative feelings and emotions. The binge eating is just an outlet, a release, that provides only very short term relief. Bulimia treatment in Rickmansworth – get in touch!